Harry N. Abrams, 9781419732560, 240pp. 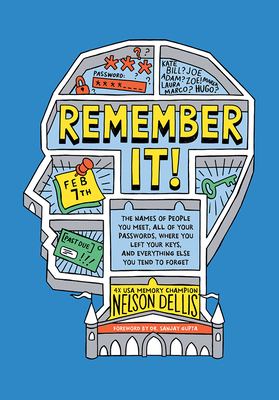 Nelson Dellis holds a number of memory records, is a four-time USA Memory Champion, and a Grandmaster of Memory. He is a highly sought after memory expert and public speaker and has made appearances on the Today show, ABC’s Nightline, The Dr. Oz Show, Katie, the Oprah Winfrey Network, and more. He lives in Miami.